Lithographed by Henri Gillet 1854 (April-August): 5 c. red-brown, a used example with good margins on three sides and portion of adjoining stamp at right, roughly separated at left, used on 1855 cover from San Felipe to Valparaiso showing the Lithographic Transfer Fold with small crushed "CHIL" in CHILE and no cross-bar to "H" (Blank 5/Vt. 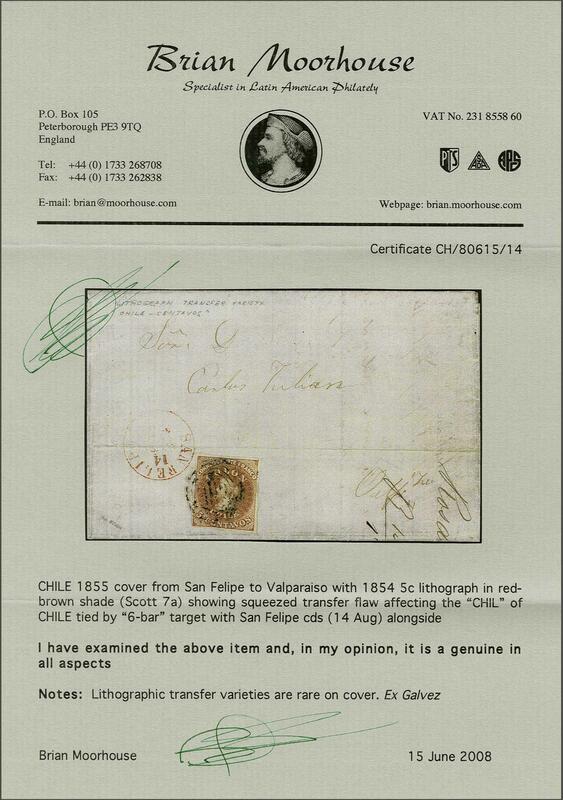 2/6), tied by watery strike of target handstamp with SAN FELIPE cds in red (Aug 14) alongside. 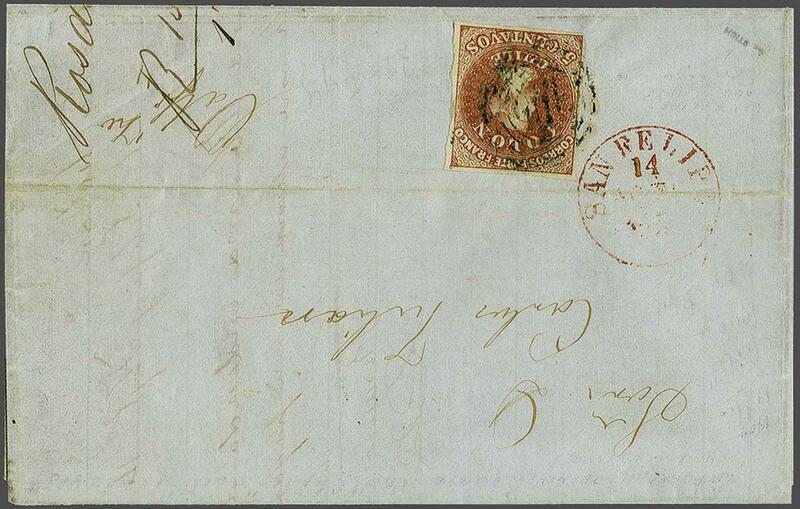 The Transfer Flaws are extremely scarce on letter, this being particularly fine. Cert. Moorhouse (2008).rnProvenance: Collection 'Islander', Siegel, June 2008, lot 144.